Ahh…science fair projects – those words are almost guaranteed to strike fear in the heart someone, somewhere. I’m here to help dispel those fears. And to give you the tools you need to guide your students through this assignment without a whole bunch of tears. We have completed science fair projects every year, beginning in 5th grade. You can read about our experience right here on the Eb blog. 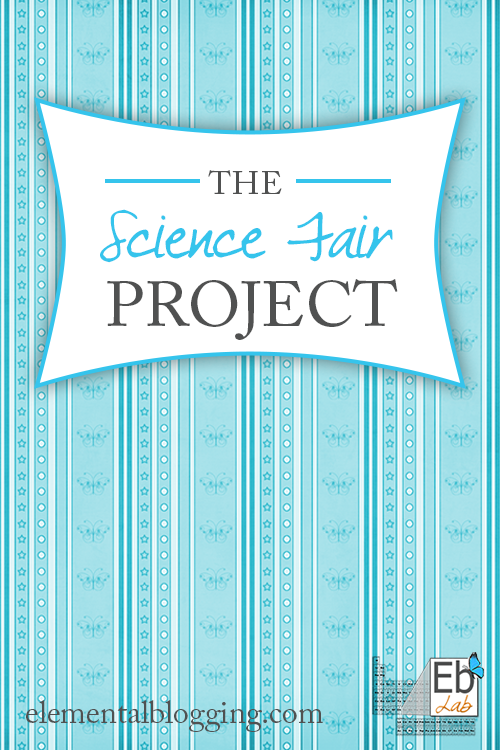 If you don’t want to click through post after post, head on over and purchase my book The Science Fair Project: A Step by Step Guide, which walks you through each step including a sample project and student pages for you to use. Oh, one more thing before you go – don’t miss my Pinterest board, which contains loads of ideas for science fair projects! Follow Elemental Science – Homeschool Science’s board Science Fair on Pinterest.